I pick up most of the new TV shows online or while on holiday in the USA. American shows are still widely advertised on billboards, buses, taxis, ... Most of these shows make it to Belgium via TV, Netflix, the internet of course and word of mouth. Yet, some series don’t make it until Belgium. At first, I thought that this was a post-apocalyptic show (something like the Hunger Games or Divergent). I remember these ads being all over the subway in NYC last summer. ‘Ghosts never die’ and the fire in the background gave me that impression. Power is actually about James “Ghost” St. Patrick. He’s a wealthy man living a double life. Ghost owns a night club in New York and he’s the leader of the most lucrative drug network in the city. The second season of Underground is premiering today. I started watching this show after I saw an interview with one of the actors on the Ellen Show. The show is about the underground railroad during the 1850s in Georgia. The slaves of this plantation are rising and trying to find their way to freedom. Along the way, they’re receiving help from a secret abolitionist couple. This show surprised me: not only the theme is compelling, the music is taking it a step further. The soundtrack and musical elements for this series have been chosen by co-executive producer John Legend. In the following trailer of the first season, you’ll get the idea of what I’m talking about. Another show produced by an amazing person: Donald Glover. I love him for several reasons: he makes good music (as Childish Gambino), he played Troy in Community and he’s so creative. Also, in 2018 he will appear in Spider-Man: Homecoming AND he’ll be playing the young Lando Calrissian in Han Solo Star Wars movie. 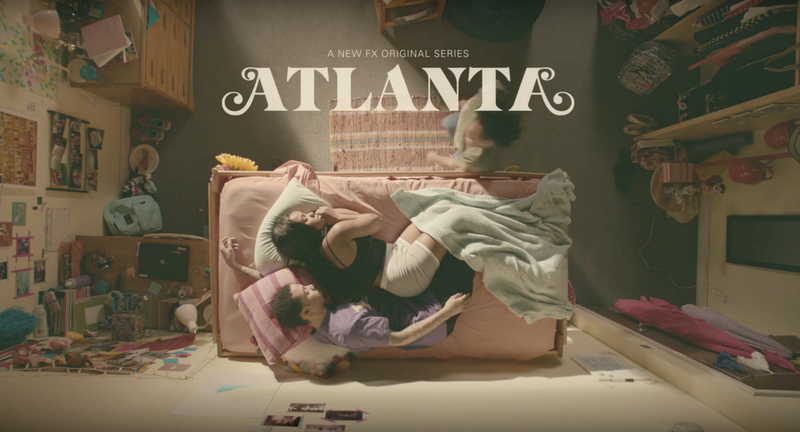 A couple of months ago, Atlanta received two Golden Globe Awards for Best Actor and Best Television Series — Musical or Comedy.